Avenger #N3357G flew as Tanker 72 for Hemut Valley Flying Service from 1963 until the early seventies. Avenger #N3357G, Tanker 72, reloading at Hemet, California in May of 1967. 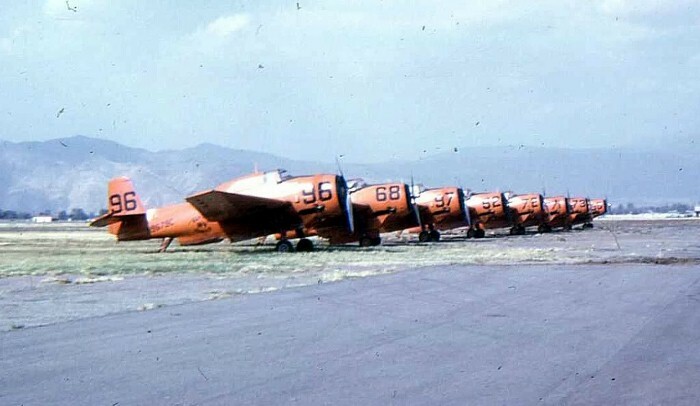 Hemut Valley Flying Service Avenger line up in May of 1968. Avenger #N3357G, Tanker 72, had a forced landing on the Soboba Indian Reservation, San Jacinto, California during the late sixties. Avenger C-GFPR flying with Forest Protection Ltd. In 1992. Avenger C-GFPR was sold to Didier Chable in 2000 and was registered as F-WQDN. 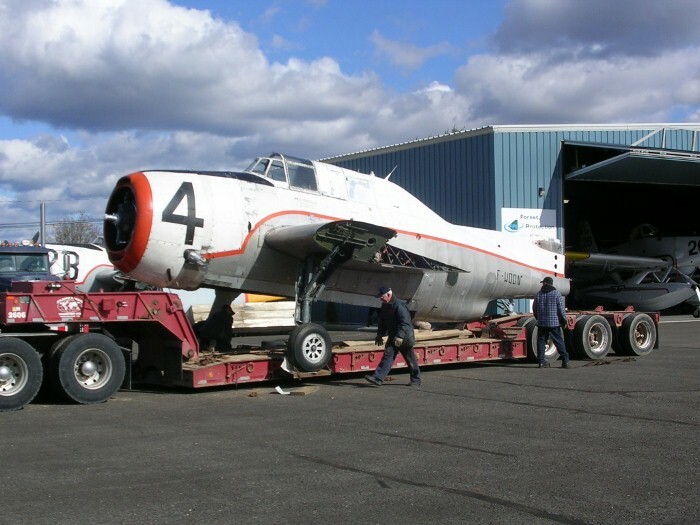 The Museum&apos;s Avenger was transported by truck from Fredericton, New Brunswick to Hamilton and arrived October 21, 2009. Restoration began immediately. The Museum&apos;s Avenger under restoration in November of 2011. The Museum&apos;s Avenger at the 2011 Hamilton Airshow. The Museum&apos;s Avenger under restoration in 2014. First flight is expected in 2019. 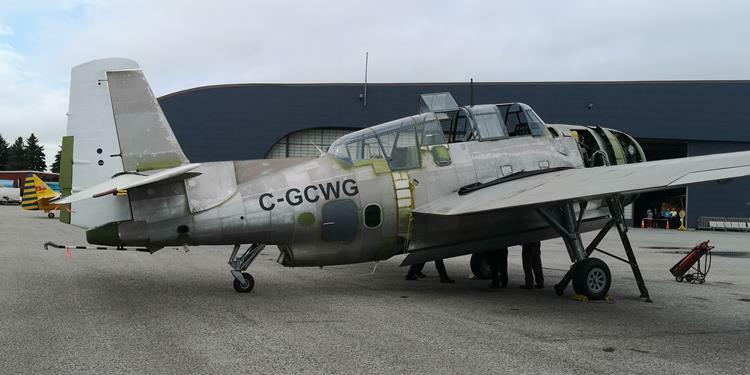 The Museum&apos;s Avenger is to be restored in the colours of Royal Canadian Navy Avenger #86180 (NAVY-324). 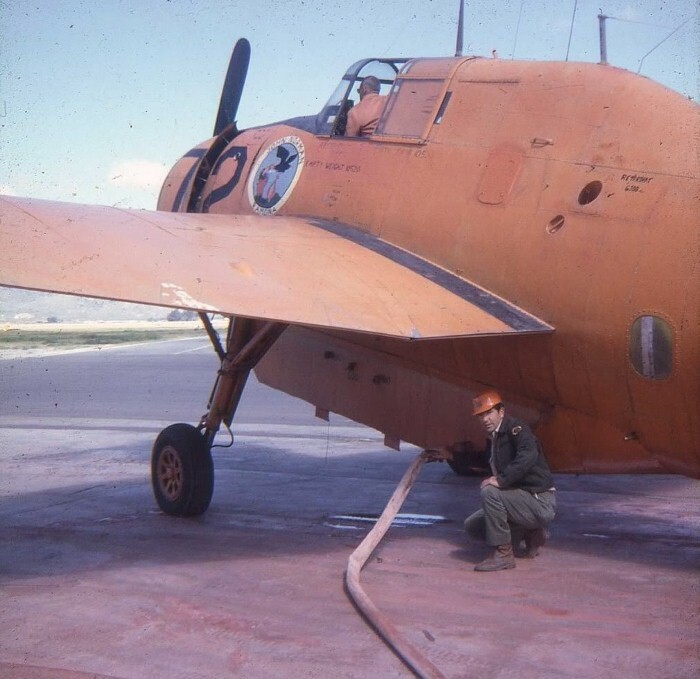 This photo was taken on September 6, 1953 when the aircraft was based at RCAF Scoudouc. 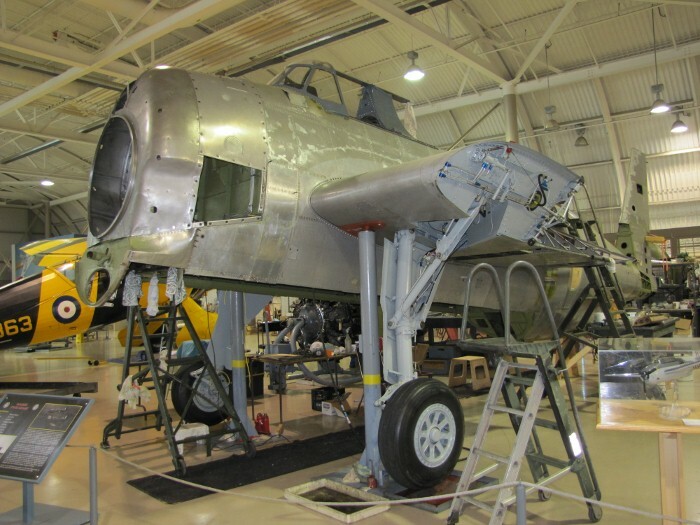 The Museum&apos;s Avenger is to be restored in the colours of Royal Canadian Navy Avenger #86180 (NAVY-324). This photo shows the aircraft landing on an unknown aircraft carrier. 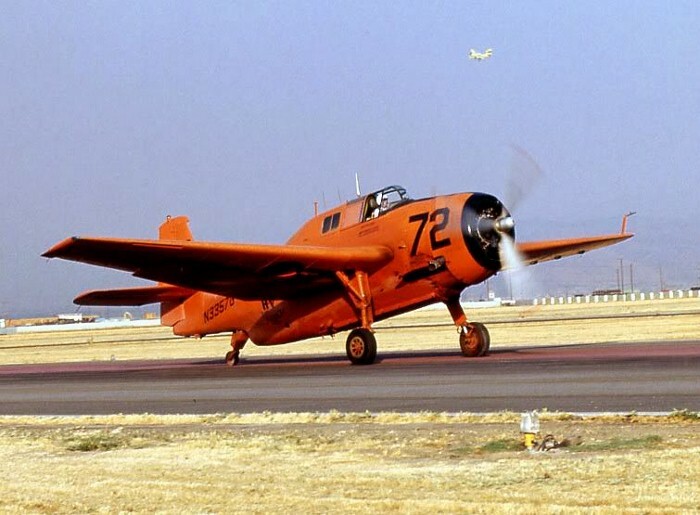 The prototype XTBF-1 first flew from Grumman Aircraft at Bethpage, Long Island, NY, in August 1941 and by January 1942 the first production aircraft were coming off the lines. A small number of TBF-1s reached the Pacific in late spring 1942 and were immediately thrown into the Battle of Midway, June 1942. Demand for the Avenger, as it was now called, quickly surpassed Grumman’s production capacity and by mid 1942, GM Eastern Aircraft Division was manufacturing the TBM as well, at its Trenton, NJ facilities. 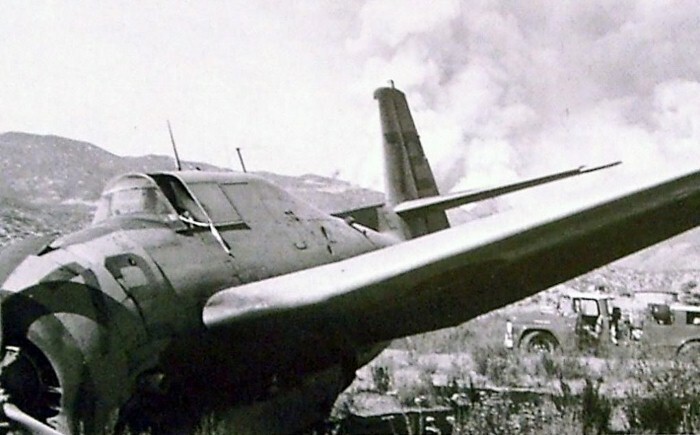 When production ceased at the end of the war, a total of 9,839 Avengers had been built; 2,293 by Grumman and 7,546 by GM Eastern Aircraft Division. The Grumman Avenger was a US naval carrier based torpedo bomber or anti submarine aircraft and a major contributor to winning the sea battles of the Second World War. Produced in large numbers, it saw much action with both the US and Royal Navies in both the Pacific and Atlantic war zones. 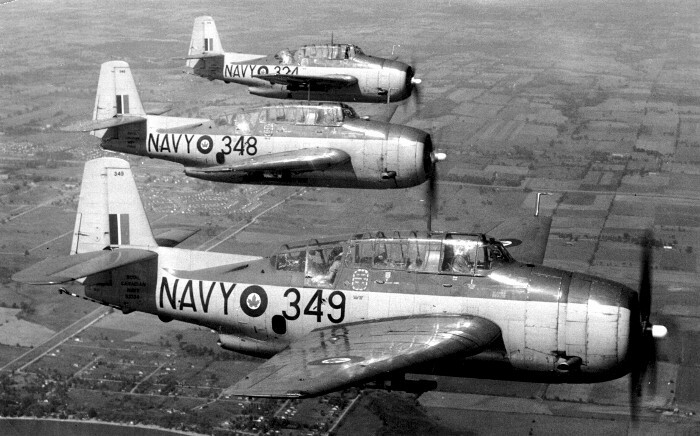 In 1950, Royal Canadian Navy (RCN) anti submarine Squadrons, VS 880 and 881 were equipped with modernized Avengers. These aircraft were fitted with a magnetic anomaly detector boom, sophisticated radar and wing mounted rockets. Later, airborne early warning radar Avengers were acquired, which carried large under fuselage radomes. 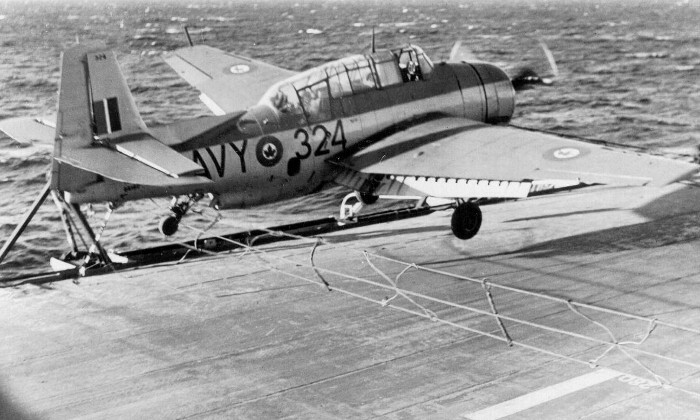 The RCN retired the Avenger in 1956, in favour of the superior Grumman Tracker for anti submarine patrols. 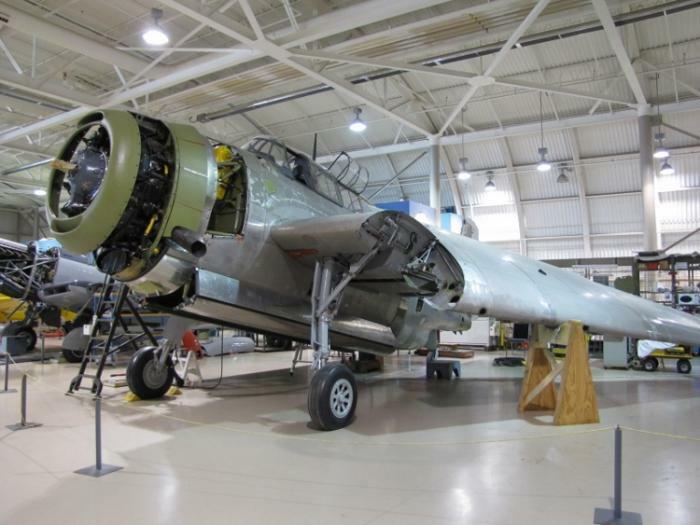 The Museum's Avenger is a TBM-3E built by General Motors, Eastern Aircraft Division in 1945. It flew with the US Navy until the early 1950s, when it was phased out. Later it was converted to a spray plane and operated in California, from 1963 to 1972. 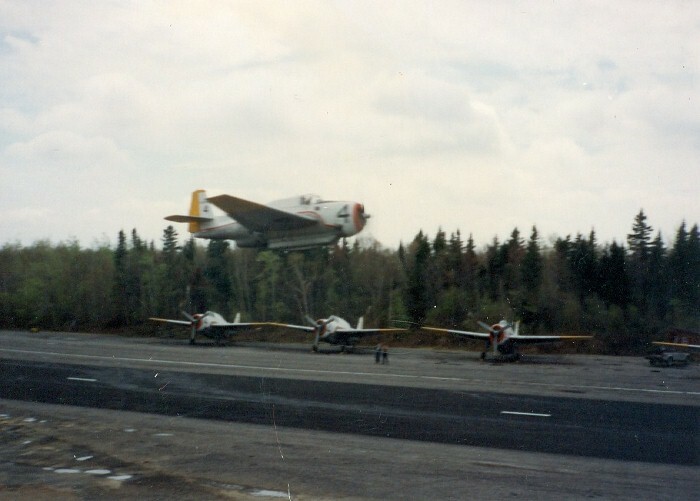 In 1976, Forest Protection Ltd, New Brunswick, purchased it and the aircraft continued to fly in a similar role, until it was finally retired from commercial service in 1992. 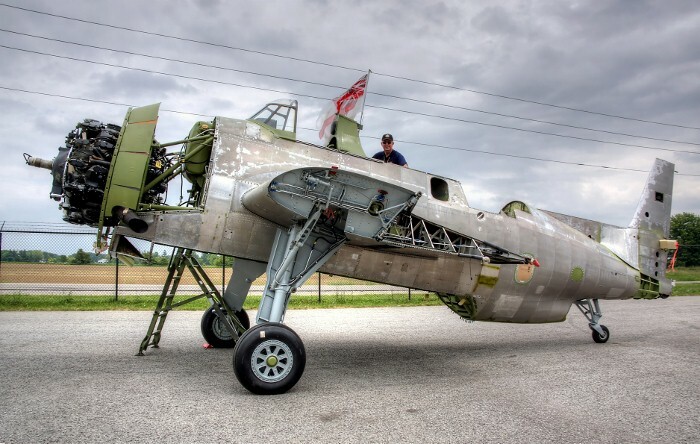 In 2000, it was sold to a French aircraft preservation group, but they were unable to arrange transport for it across the Atlantic. 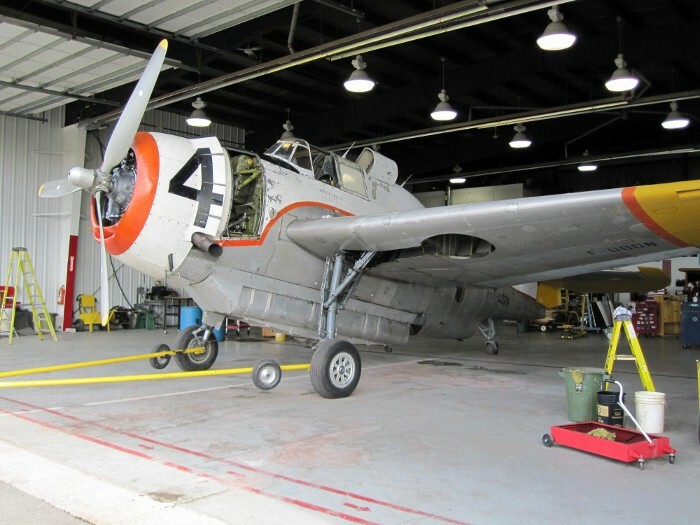 The Museum acquired the Avenger with the help of a generous donor in late 2009.